David Newell is an actor known primarily for his portrayal of the beloved Mr. McFeely, the deliveryman on Mister Rogers' Neighborhood. Mr. McFeely’s most famous catchphrase is "Speedy Delivery!" He toured the country as Mr. McFeely until 2015, promoting Mister Rogers' Neighborhood. A graduate of the University of Pittsburgh, David once taught English at Wilkinsburg High School. He’s also been the director of public relations for The Fred Rogers Company. David began his acting career at a theatre school known as the Pittsburgh Playhouse. Through connections made there, he eventually met Fred Rogers. But David was originally hired onto Mr. Rogers’ show as a public relations manager, and then Fred Rogers cast him in the role of Mr. McFeely. As a result, he and Mr. Rogers became lifelong friends until Mr. Rogers' death in 2003. A documentary feature about David entitled Speedy Delivery, which chronicles his travels around the world as Mr. McFeely, debuted on public television in 2008. And an animated version of Mr. McFeely is a recurring character on the PBS series Daniel Tiger's Neighborhood, now voiced by Canadian actor, Derek McGrath. David Newell is an actor known primarily for his portrayal of the beloved Mr. McFeely, the deliveryman on Mister Rogers’ Neighborhood. 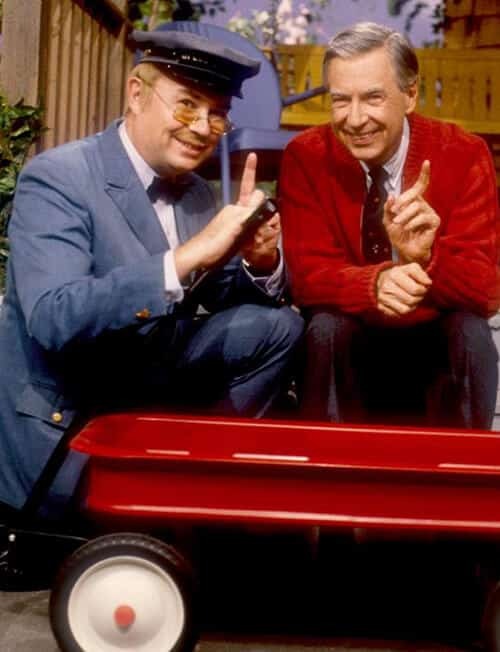 Mr. McFeely’s most famous catchphrase is “Speedy Delivery!” He toured the country as Mr. McFeely until 2015, promoting Mister Rogers’ Neighborhood.